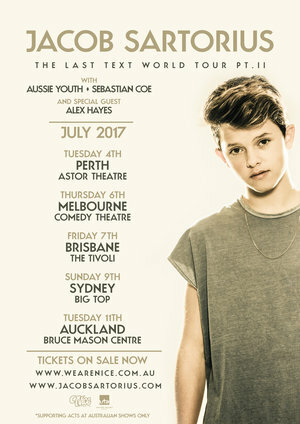 With an irresistible voice, magnetic charisma, and that instantly recognisable coif, Jacob Sartorius built an undeniable and unique connection with millions of fans worldwide in 2016—which only grows stronger by the day. Joining Jacob for all shows will be Aussie Youth, Sebastian Coe AND Alex Hayes! 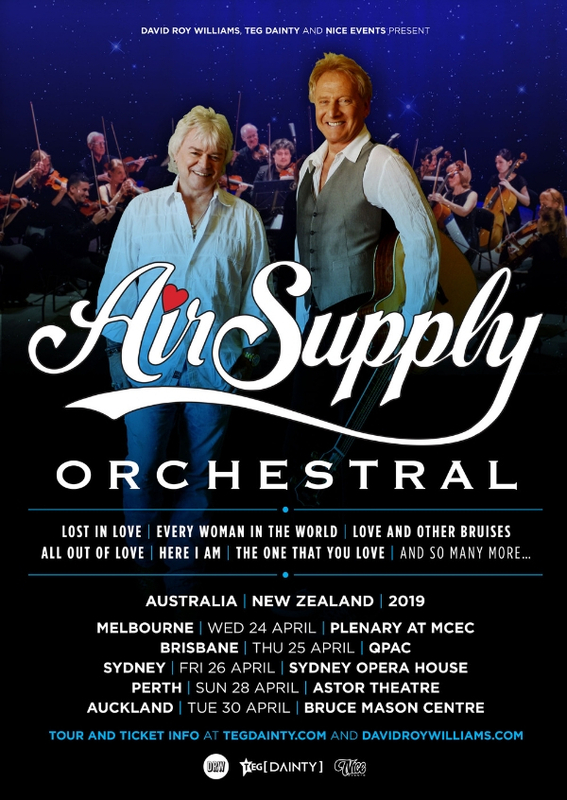 Aussie Youth have performed in Australia and LA and have spent the past 12 months writing and recording new material with Grammy award winning American producer Heather Holley (Christina Aguilera) and music producer and songwriter Moe Z MD (Tupac Shakur, John Mellencamp). Sebastian Coe is an exciting up and coming star, first appearing on The Voice Kids and going on to capture global audiences with his unique and vast vocal styles. Sebastian has travelled to Japan to appear for Universal Studios in their amazing Christmas show, performed at Nickelodeon’s Slimefest and been on stage for several musicals. Alex Hayes is an Aussie surfer who has gone on to take the world by storm. He has recently added DJ to his repertoire and we can’t wait to see what he brings to Jacob’s show after last seeing him onstage at AmplifyLIVE in 2016.